COLUMBUS, OH (KTRK) -- The state can try again to put to death a condemned killer whose 2009 botched execution was called off after two hours, the Ohio Supreme Court said Wednesday. "Because Broom's life was never at risk since the drugs were not introduced, and because the state is committed to carrying out executions in a constitutional manner, we do not believe that it would shock the public's conscience to allow the state to carry out Broom's execution," Lanzinger wrote. The majority opinion said it was unclear why Broom's veins couldn't be accessed, a fact that brings the rejection of his appeal into question, Justice Judi French wrote in a dissent. "If the state cannot explain why the Broom execution went wrong, then the state cannot guarantee that the outcome will be different next time," French wrote. An hour into the execution, the Department of Rehabilitation and Correction recruited a part-time prison doctor with no experience or training with executions to try - again, unsuccessfully - to find a vein. Broom's appeals in federal court were on hold while the state court heard the constitutional arguments. Requiring Broom to endure another execution attempt would double up his punishment by forcing him to relive the pain he's already been through, his attorneys, Adele Shank and Timothy Sweeney, argued in a court filing last year. During a June hearing, Chief Justice Maureen O'Connor asked Shank about a prison official's testimony that Broom may have caused the problems with his veins by taking an entire box of antihistamines the day before to dehydrate himself. Shank said she witnessed Broom drinking coffee the day of the procedure. Chris Schroeder, an assistant Cuyahoga County prosecutor, said the antihistamines allegation was not part of the state's argument. In 1947, Louisiana electrocuted 18-year-old Willie Francis by electric chair a year after an improperly prepared electric chair failed to work. 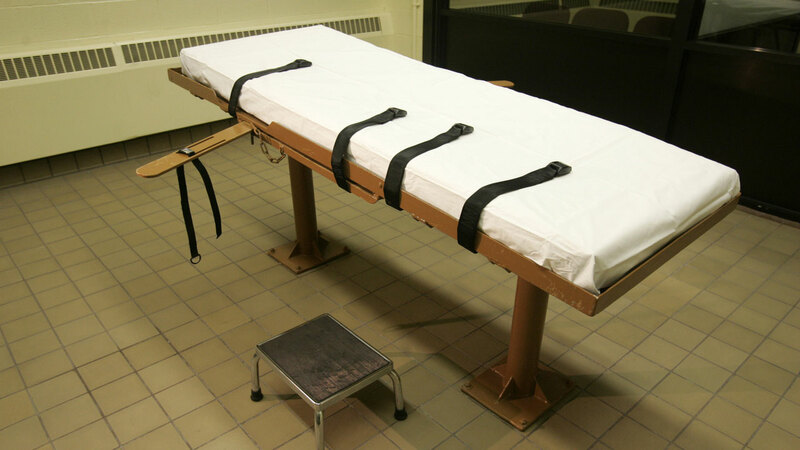 The U.S. Supreme Court ruled 5-4 to allow the second execution to proceed, rejecting double jeopardy arguments. A state's administration of its criminal law isn't affected by due process rights, when "an accident, with no suggestion of malevolence, prevents the consummation of a sentence," the court ruled at the time. Ohio prosecutors said lower courts properly determined that any mistakes happened during Broom's execution preparations, not the actual procedure. Schroeder said the evidence shows that the state wasn't deliberately trying to hurt Broom and that nearly two dozen successful executions since 2009 mean such an event couldn't happen again.